PDF± | Mac App Storeのアプリ検索・ランキング BuzzMac! 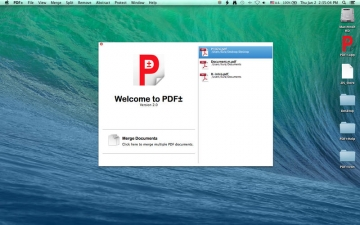 PDF± not only let you view PDF documents, but also let you manipulate PDF files easily and efficiently. For viewing PDF files, PDF± let you Zoom In and Zoom Out with the toolbar button "+" and "-." 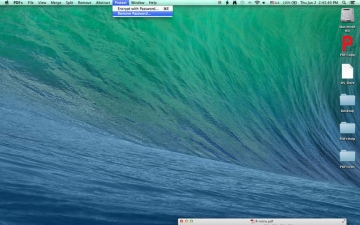 It also let you "Zoom to Fit" or view in "Actual Size" with the View menu. PDF± let you navigate pages easily with the tool bar button "First Page", "Previous Page", "Next Page" and "Last Page." You can also use the keyboard left and right arrow to view the previous and next page. You can also view in "Single Page" layout or "Two Pages" layout by choose the menu items in View menu. 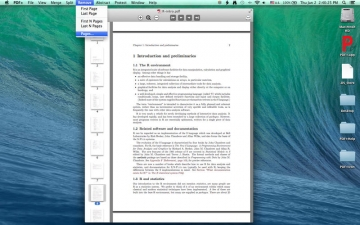 You can merge multiple PDF documents into one single file using PDF±. Using the merge window, you can selecte multiple files; you can order the merge order by file name, file size or file created date. 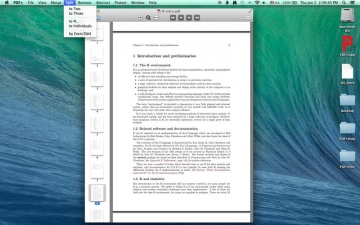 Oposite to merge, the split function of PDF± let you split one document to multiple files. The Split menu provide the command to split a document to two files, three files, or arbitrary N files; it aslo let you split the document to individual pages, to two files with odd and even pages. PDF± let you remove some pages from a document easily. Using the Remove menu, you can remove the first page, the last page, the first N page, the last N page, or arbitrary pages by provide the page numbers. If you want generate a new PDF document from parts of a existing file, the Abstract menu is for you. With the command in Abstract menu, you can create a new PDF file using the first page, the last page, the first N pages, the last N pages, or any pages by provide the page numbers. PDF± can protect your PDF document with 128-bit RC4 encryption with password. 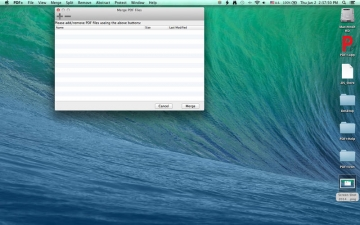 You can also remove the encryption if you know the password of a PDF document.